Complete the application form. This is to be submitted along with the (non refundable) application fee. Submit the request for school records to the applicant's present school. We also suggest that any Hebrew school records be forwarded to (school). Parents are required to submit two recommendation forms to the applicant's school counselor, principal, and/or current teacher to be sent directly to JIQ. These recommendations are strictly confidential. Applicants and their parents are required to be interviewed by the Director of Admissions. Applicants who apply during the school year should plan to visit JIQ for a school day. 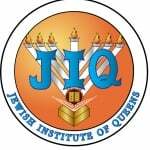 25% of JIQ's current student body have no prior Jewish day school education. Students are not required to be able read Hebrew . Comprehension is not either necessary for our beginning program. Students do not need to be able to write Hebrew script,or block letters. This test is administered at various times during the school year. The test is multiple choice and consists of verbal and mathematical sections and takes 3 hours to complete. Cost for the testing will be assumed by the parent of the applicant. Please see our school calendar for testing dates. Each application will be reviewed as soon as the admissions process is complete. Applications are considered individually by the Admissions Committee and according to available vacancies. Applicants will be notified of their status soon after completion of all admissions procedures. Students are considered for admission based on evidence of the applicant's desire and potential for success in a dual college-preparatory/Judaic Studies program. Upon acceptance, a prompt reply and return of the enrollment contract, along with a $1,000.00 enrollment deposit, are required to reserve a student's place at (school). The enrollment deposit is non-refundable and is applied toward the final tuition payment of the year. JIQ does not discriminate on the basis of race, color, national origin, gender or age.